The Chesil Rectory is a unique and historic restaurant located in Winchester which occupies a 600 year old grade II listed Medieval house of exceptional character and charm. Steeped in history, the building is now the oldest commercial property in Winchester. A restaurant for the last 50 years, it was taken over in 2008 by the current management team and is Independently owned by a small group of friends who share a passion for food and wine. The Chesil Rectory offers a modern British menu featuring simple, classic, seasonal dishes and an abundance of fresh local produce. 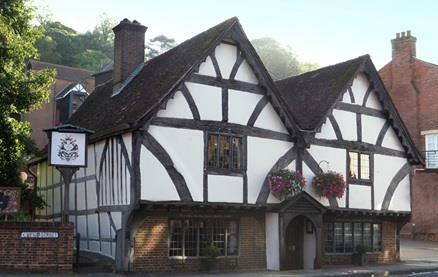 The restaurant has been stylishly refurbished throughout and retains many original features including solid oak beams, ancient doorways and beautiful open fireplaces. Decorated with vintage chandeliers and beautiful botanical prints, the intimate dining rooms are relaxed, peaceful and brimming with authentic charm. Perfect for lunch with friends or a romantic dinner, a light weekday supper, full on business lunches or a mighty Sunday roast. Head Chef Damian Brown uses an abundance of seasonal, local produce from the Hampshire doorstep to create a delicious menus. 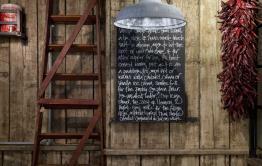 All the menus feature simple, classic dishes brought up to date with a twist. At the heart of The Chesil Rectory 's wine philosophy is the idea that when dining out, you should be able to enjoy stunning wine at fair prices in a relaxed & convivial atmosphere and only the most exciting wines appear on the list. From classic old world wines to the up-and-coming stars of the future, there is a little bit of something to please everyone on the wine list. Open 7 days a week for lunch and dinner, Sunday roasts and private dining, The Chesil Rectory has won a string of awards for its delicious, fresh menus and exceptional hospitality. 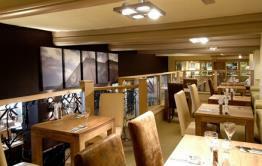 With an upstairs bar and a private dining room, it is strongly advised to book in advance, especially at weekends. Be the first to write a review and share your experience at The Chesil Rectory Restaurant with other diners.